Two weeks ago I had my annual review at work. During the review my boss went on in some length about what a great writer I am. While I should’ve been focusing on work at that moment I couldn’t help but let me mind wistfully wander to this blog and how long it’s been since I’ve written anything! I have been running around like a mad woman lately and have overextended myself in the extreme, but I promise I’ll be back soon. Anyway for now you just get to see pictures of food I’ve eaten lately just so you know that me and my meals still exist. 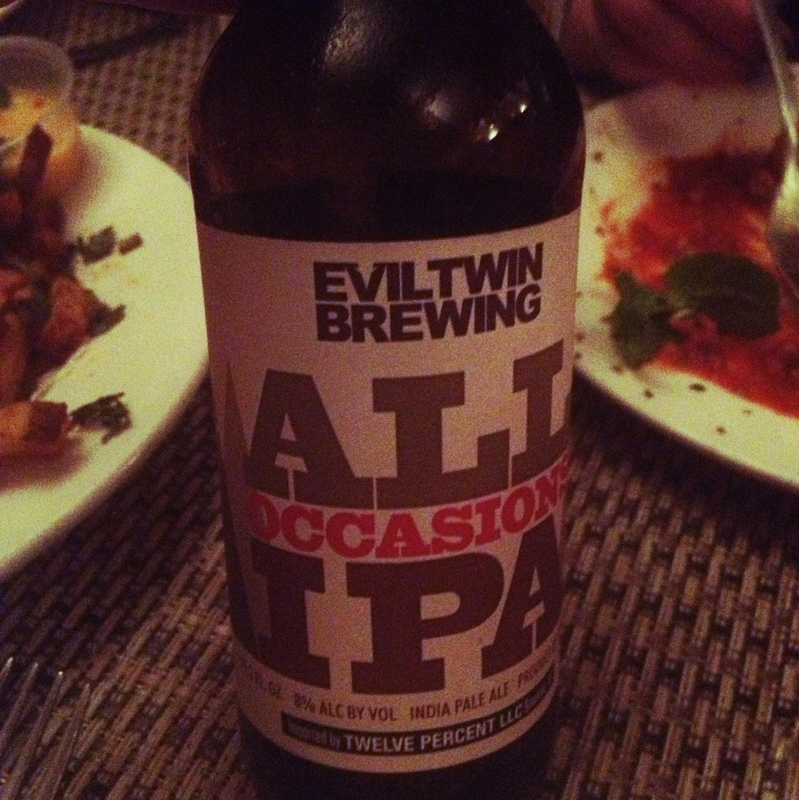 Monday started Passover so this is all obviously pre-Passover eating). For my Mom’s birthday we had dinner at The Marrow, the new Harold Dieterle restaurant. I planned to do a whole post about it, but that never happened so I will just let you know that it was very good, but not great though it clearly has the potential for greatness and I’m eager to try it again when it finds it’s footing. 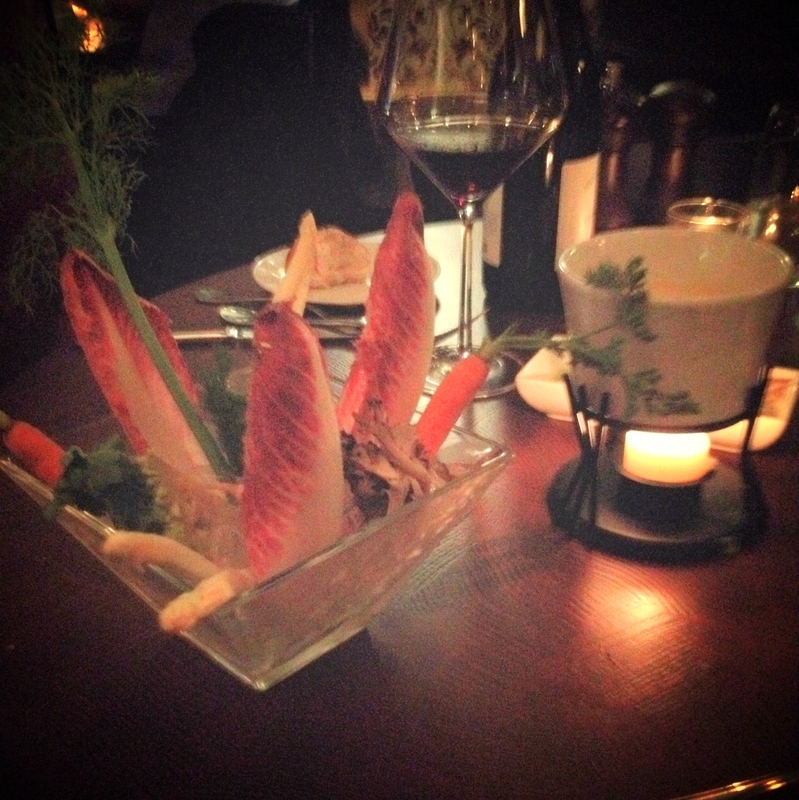 To start my mom and I split the crudite with gruyere fondue. 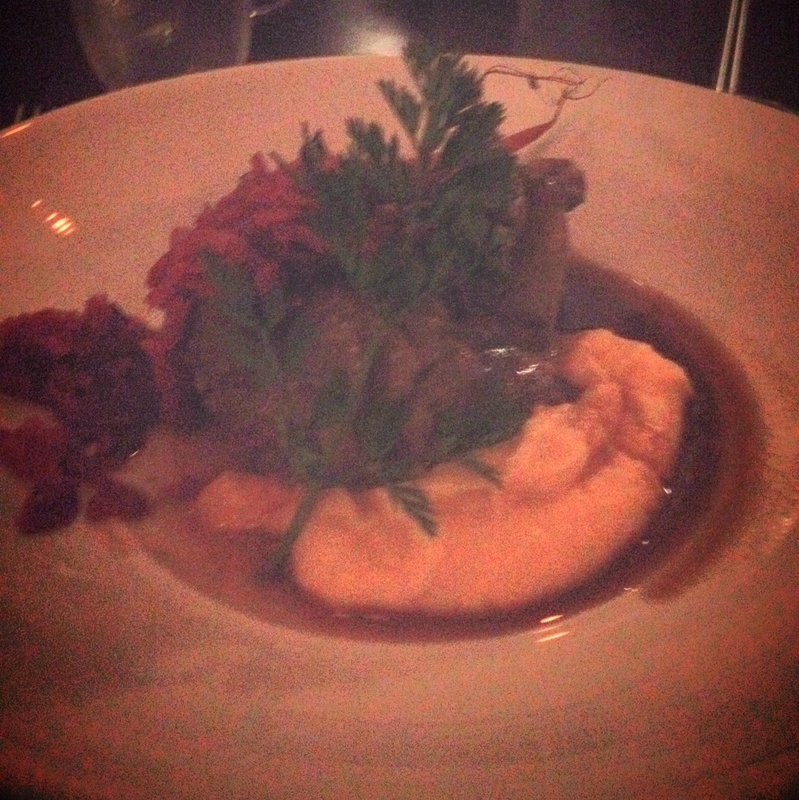 For my main course I have the juniper braised lamb neck with rutabaga puree, red cabbage and baby carrots. 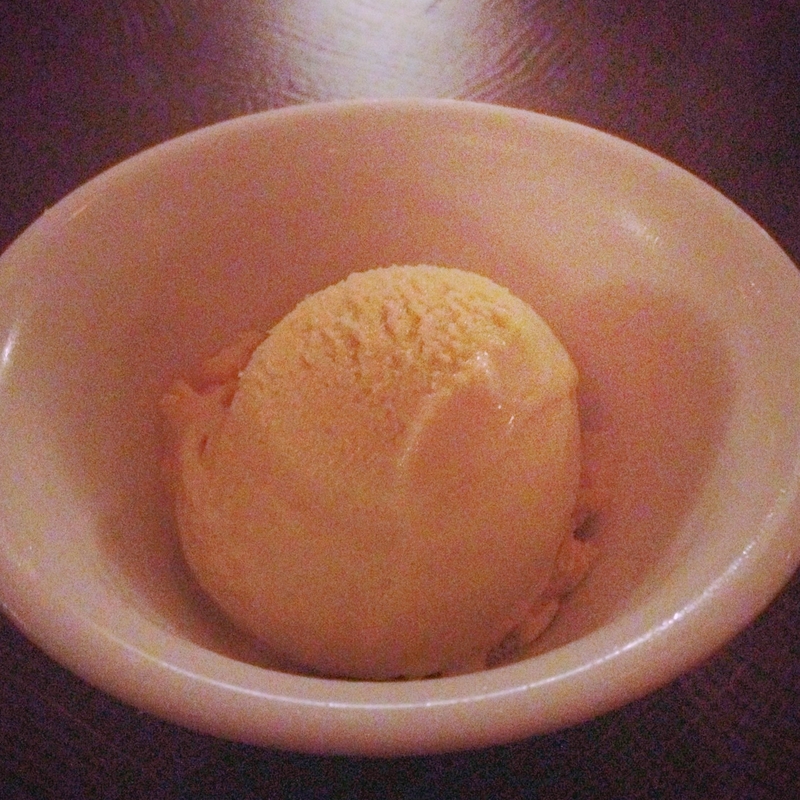 And for dessert a delicious creamy scoop of coffee ice cream. One of the many things that took me away from blogging this month was a fabulous trip to DC from March 15-19th. On Monday and Tuesday I had a conference for the organization I volunteer with. Because one of my very favorite people, Becky, lives there I decided to go in on Friday to visit and then one of our other favorite people, Mandy, decided she’d drive in from Ohio and join us! Of course I couldn’t arrive empty handed so I made a batch of dulce de leche brownie bars and brought them along! To the left of the beer those are garlic cilantro fries you see peaking out. Yum! This was at a restaurant in Alexandria, VA called Bilbo Baggins. I think I only repeated, “Bagginnnss. Shi-iii-rre” in my best Gollum voice, three times during dinner which I feel shows great restraint on my part. This past weekend Josh and I had dinner at Cafe Luxembourg, which is a legendary restaurant in the neighborhood where we both live though neither of us had ever managed to get there before. It’s also a well known celebrity hang-out and we spent our dinner sitting right next to Boon from Animal House! 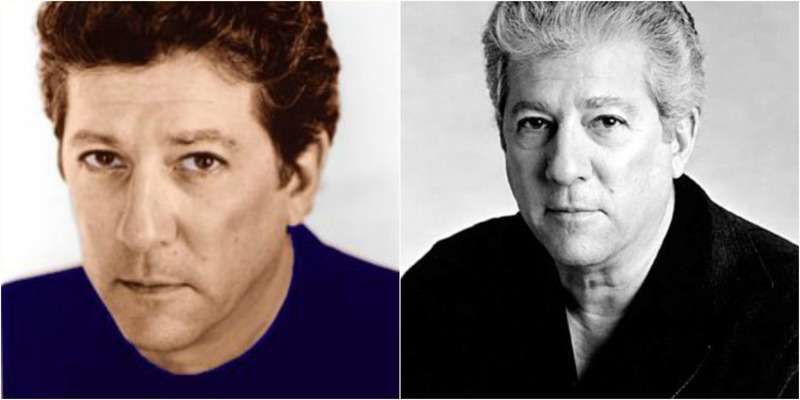 (Otherwise known as Peter Riegert). To be more specific he sat right next to Josh. I mean like right next to, as the tables are very close together in there, but there is about as much chance of me becoming the next Pope as there is of Josh recognizing a celebrity so it was only me who noticed. Anyway, we also did actually eat food there and afterwards Josh declared the restaurant, “Solid.” I would agree, it’s not spectacular, but definitely solid. 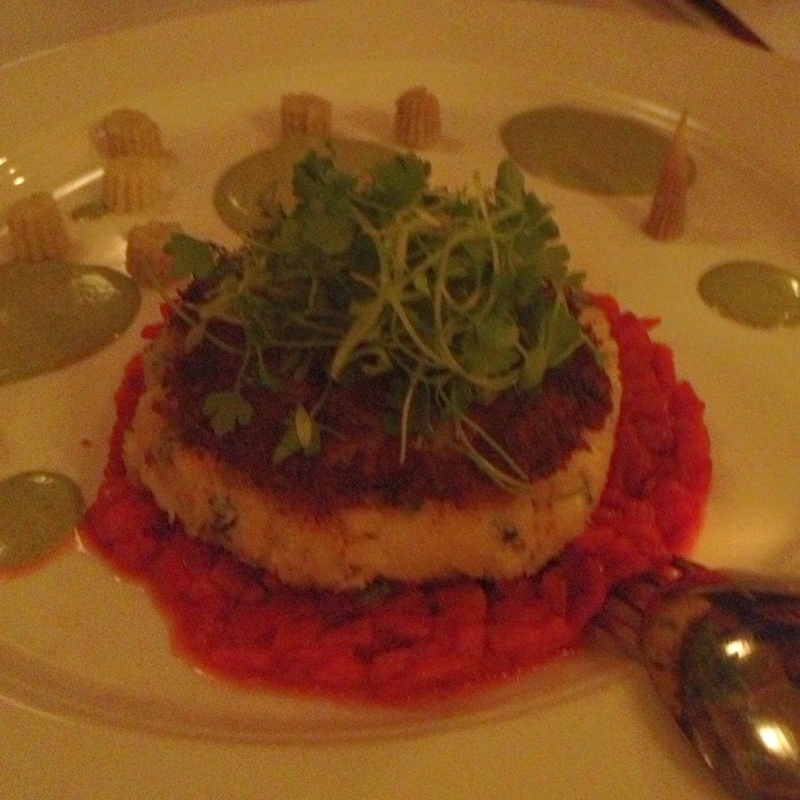 To start we split the crab cake. 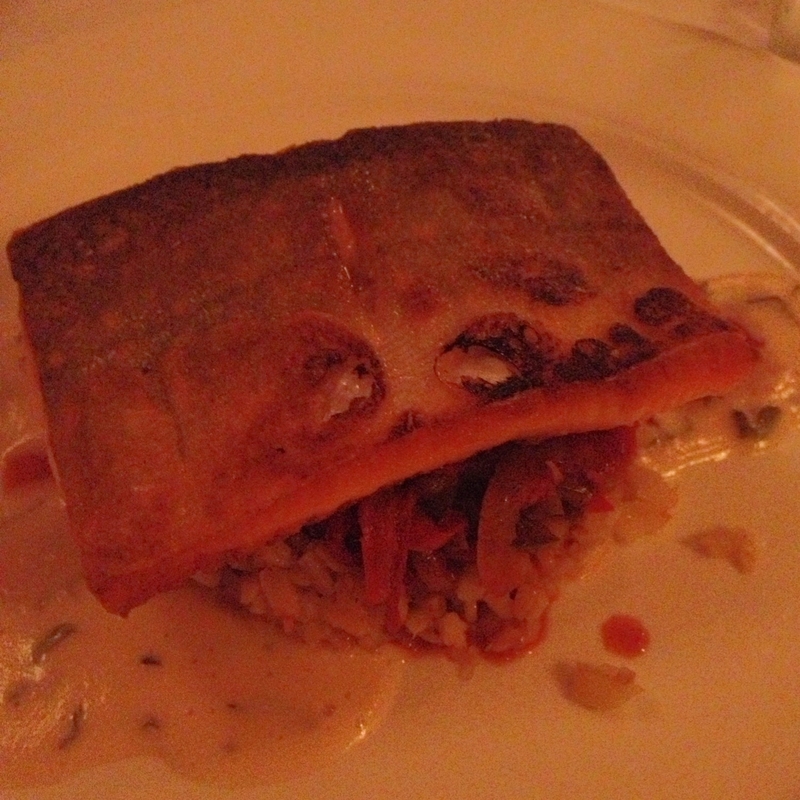 For the main course I had Arctic Char, one of my favorite fishes. Thus concludes the most boring blog post ever. I pinky swear to the moon and back that I’ll return with more exciting fodder soon! Mmmm! And yes, your weekend here was SO much fun!!! Those dulche de leche brownies were amazing! “…but there is about as much chance of me becoming the next Pope as there is of Josh recognizing a celebrity so it was only me who noticed.” I actually snorted when I read this. I very much admire your restraint. I’d have been insufferable with the hobbit jokes. Ha, thanks! 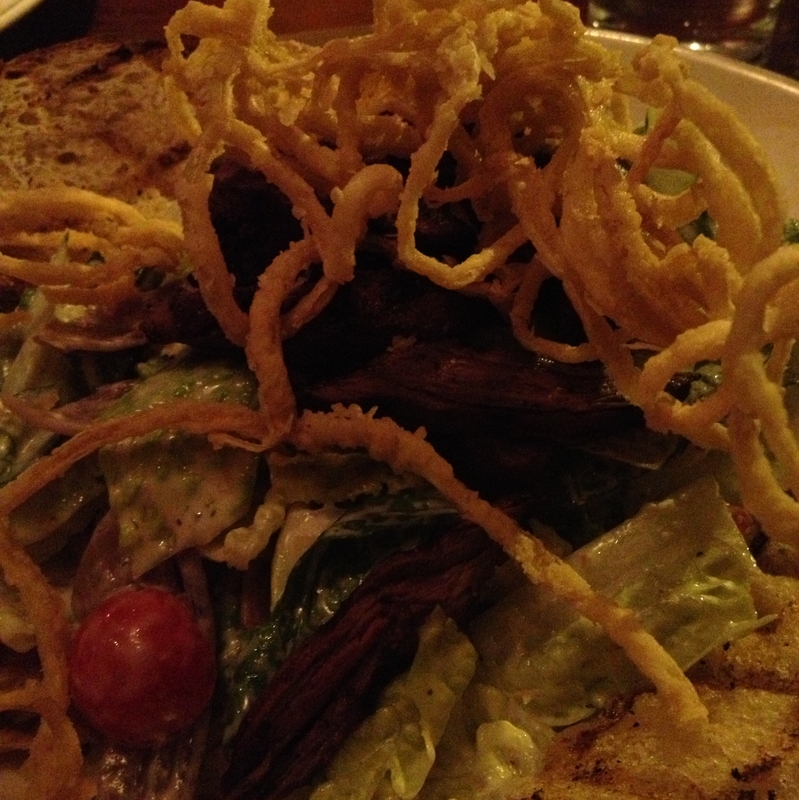 It was pretty much my dream restaurant, good food, friendly services, an amazing craft beer list and… uh… they named it Bilbo Baggins!